INTRODUCING THE KINGPIN 8-BALL. THE RAW ESSENCE OF THE KINGPIN IN A STEALTHY CLOAK OF BLACK. THE RIDE INSPIRES CONFIDENCE WHILE THE LOOK INSPIRES ENVY. IT DELIVERS SO MUCH MORE FOR SO MUCH LESS. 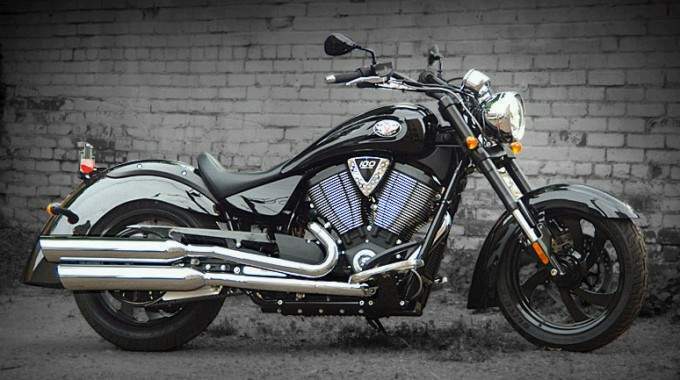 With blacked-out body paint, a blacked-out engine, black-out wheels, and blacked-out bars the all-new 2008 Kingpin 8-Ball™ is ominous in every sense of the word. 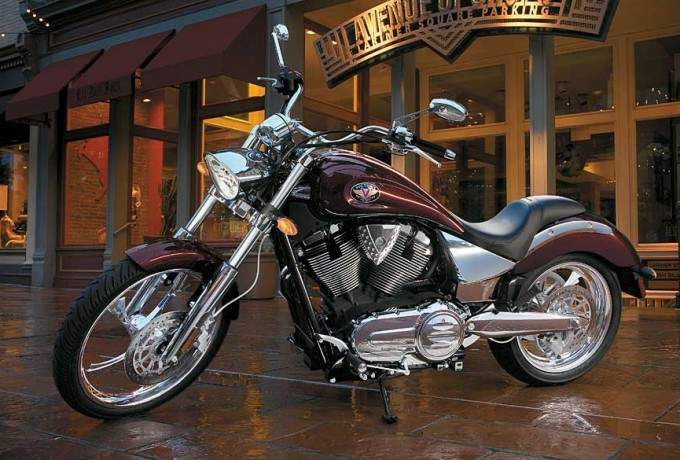 But along with all its primal appeal, it is packed with an equal amount of raw horsepower and road-ripping performance, in the form of Victory’s own 100-cubic-inch Freedom® V-Twin™. 8-Ball fender graphics - The graphic is easily removed, making the bike's solid black bodywork a blank canvas for painters and customizers. Intergrated solo seat - Provides a rider with the ideal combination of cushion and support and its front edge blends into the split tail of the fuel tank. Black forks, triple clamps, and other accents - Going beyond painted bodywork, these blacked out components heighten the bikes stealthy style. Inverted forks - Front suspension is engineered to deliver crisp, responsive and smooth handling, letting the rider enjoy a sporty ride from a full sized cruiser. Black Aluminum wheels - These premium quality wheels feature distinctive styling and complement the bike's powerful blacked out look. Driver full floorboards - Features heel/toe shift lever, vibration isolating to minimize vibration transmitted to the driver - keeping the ride smooth and enjoyable. Classic styled flared fenders - These distinctive fenders are the Kingpin 8-Ball's signature style points and enhance its smooth, flowing lines. Closed loop fuel injection- The closed loop injection system provides constant feedback and measured amount of fuel and air for a smoother, more responsive ride. 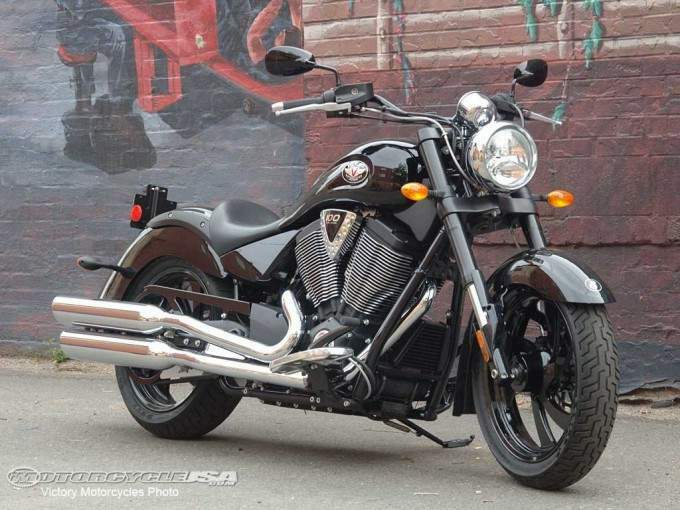 Blacked out Freedom 100 Cubic Inch V-Twin engine - Re-engineered for 2008, this next generation, smooth, efficient 100 cubic inch (1,634cc) engine produces 85 horsepower and 106 ft-lbs of torque.